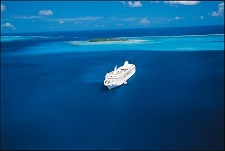 “Make the ocean your home” with the Paul Gauguin and its marvellous cruises for lovers, with family or friends. 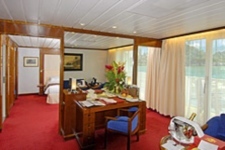 The Paul Gauguin, a real sea creature, offers luxury, comfort, refinement, and elegance. 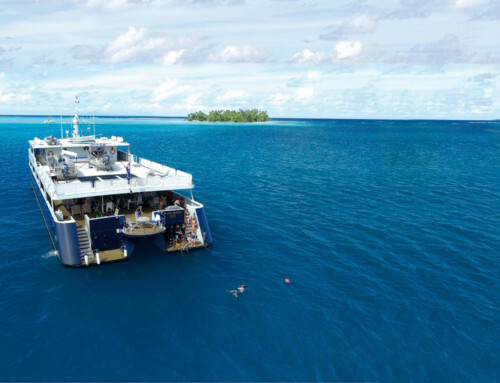 This imposing ship of 156 meters and a maximum capacity of 332 passengers was designed so that at the same time it could sail on the deep seas and on the very fragile Polynesian lagoons. On the Paul Gauguin you will find the authentic Polynesian way of living, filled with simplicity, but with an added touch of utopia. 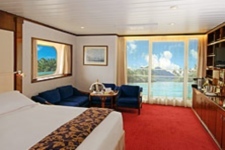 The ship has five star spacious cabins with a sea view – 70% have a private balcony. The cabins are generally double, nevertheless some can be turned into a “twin” or even a triple. A cabin is accessible for people with reduced mobility. The service is ensured by a crew of 217 members who are renowned for their great quality. The Paul Gauguin experience begins as soon as you get aboard the splendid ship with a cordial Polynesian welcome by charming “vahine” (women), the Gauguines. 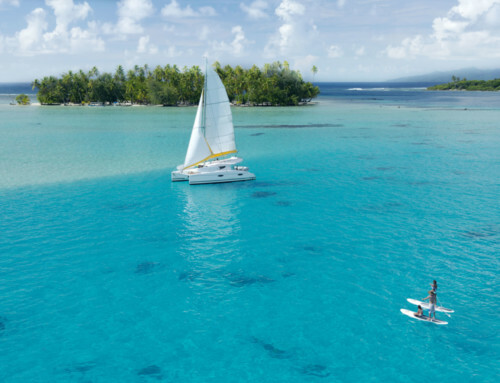 On board, you will enjoy the tales and legends about Polynesia, Tahitian dances…all in all a real insight to the culture of Tahiti and Her Islands. The Paul Gauguin offers “all-inclusive” including tips, drinks, a cabin mini bar which is filled daily, 24-hour cabin service, access to a private white sand beach in Bora Bora with a bar, one day on the private Motu (white sand islet) Mahana not far from Taha’a with snorkeling, water sports, barbecue, bar, and Polynesian activities, etc. 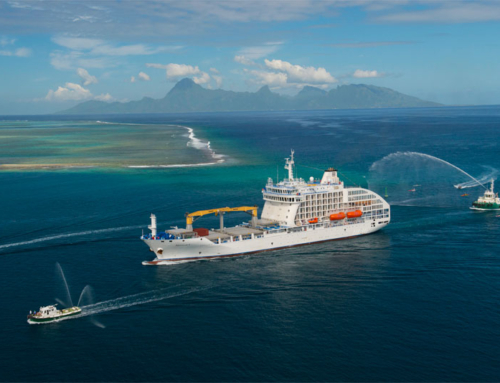 The Paul Gauguin offers a range of cruises with four different routes: Tahiti and the Society Islands for 7 nights, the Society and the Tuamotu Islands for 10 nights, the Cook Islands and the Society Islands for 11 nights, and the Marquesas, the Tuamotu and the Society Islands for 14 nights. Create your own magic on board the Paul Gauguin ! 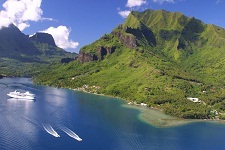 In order to extend your stay in our islands, Tahiti Nui Travel offers several types of accommodation so that the pleasure of your journey last even longer in our paradise.